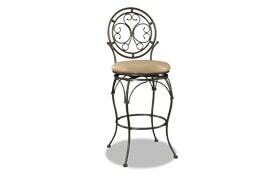 My Big & Tall Scroll Circle Bar Stool has versatile style at an unbeatable price! 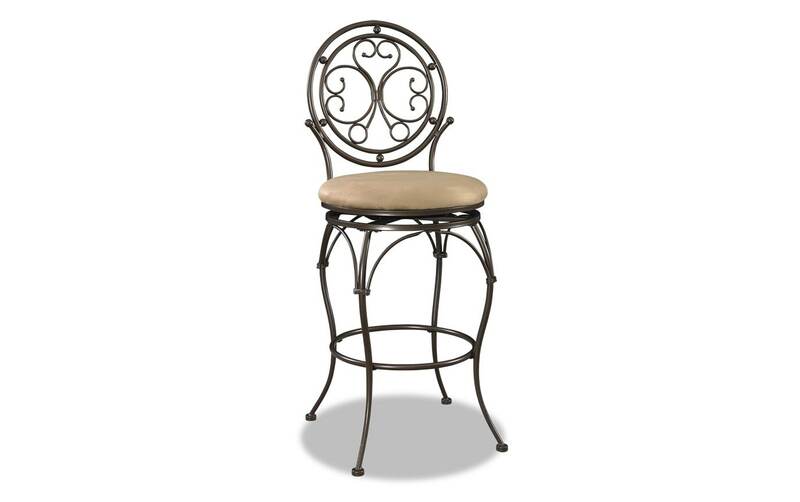 This counter height stool has a comfy, padded seat and a scroll chair back design in a bronze finish. 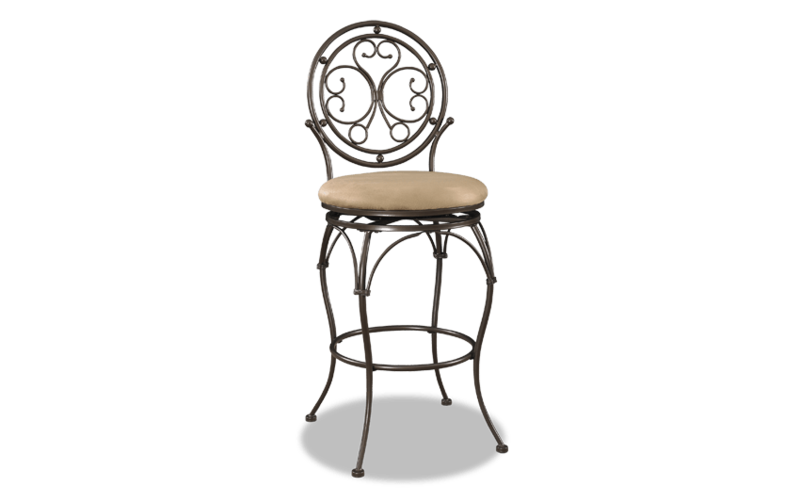 Whether your style is traditional or transitional, this stool is a great accessory for your space!